Quadra signals is a new binary options signal service that is providing a 10 day trial for $10. After that first 10 days it will cost $97 a month which adds a quick so let’s make sure that this is a very serious company before we start handing over our money. Today I’ll be providing a review, looking at the results in finding out how the system works. The Quadra signals developers claim their signals are 78% accurate. With stats like these we are looking to win 8 out of every 10 trades. I hope that these numbers are true but often most numbers on the Internet are too good to be true. The people who put together the signal service claim to have a combined 15 years of trading experience. They provide signals with use of both technical and human trading skills which they believe allows them to separate themselves from the competition and give traders the best chance of beating the markets consistently. 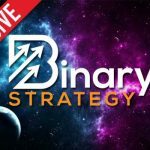 As is the case with most binary options signals providers the Quadra signals team claims that no experience is necessary. They provide 5 detailed signals which are sent to your email address daily. Keep in mind I am making an assumption here, it looks like the people who put together their website made a grammatical error and missed a word, a word I assume to be daily. They provide signals based on fundamental analysis of the EUR/USD, USD/JPY, AUD/USD, GOLD and OIL. Today I am not going to give a recommendation but I do believe there is some potential here. This developer provide signals for specific pairs and assets which means they actually have the strategy. They also provide a detailed explanation as to why they believe this trade should be made. Both of these elements show professionalism and I would expect nothing more from a signal provider asking for nearly $100 a month. The signal results are not very impressive, they show just 2 weeks of trading in the middle of October. Before I pay $100 a month I would like to see a little more out of the Quadra signals.